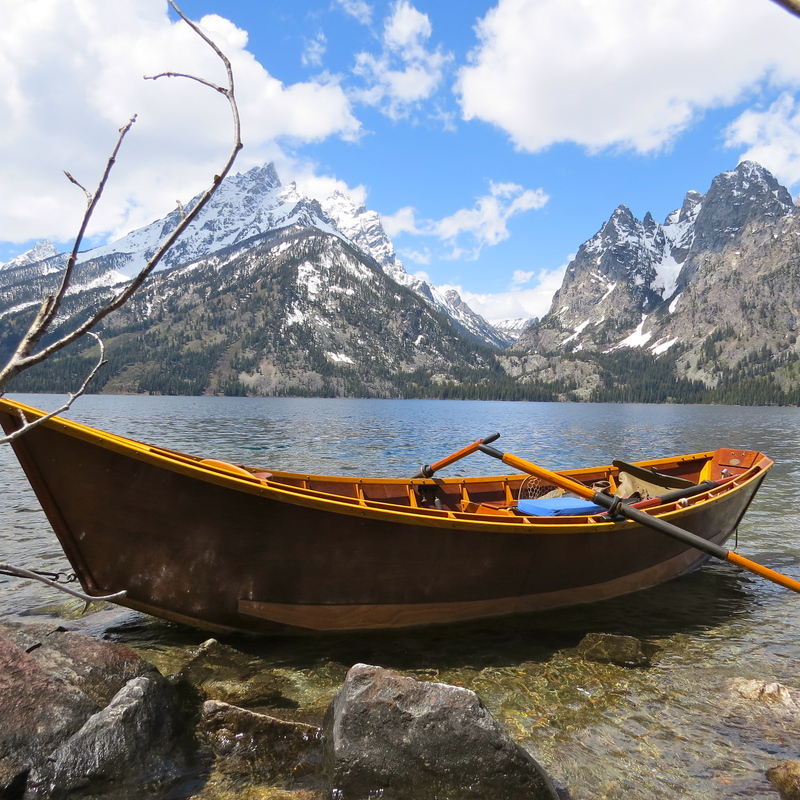 Nestled at the base of the Grand Tetons is Jenny Lake – one of the prettiest Glacial Lakes you’ll ever see. It’s fed by cold clear water from a little inlet called “String Lake” and if you hike around Jenny to the far side, you can see it. 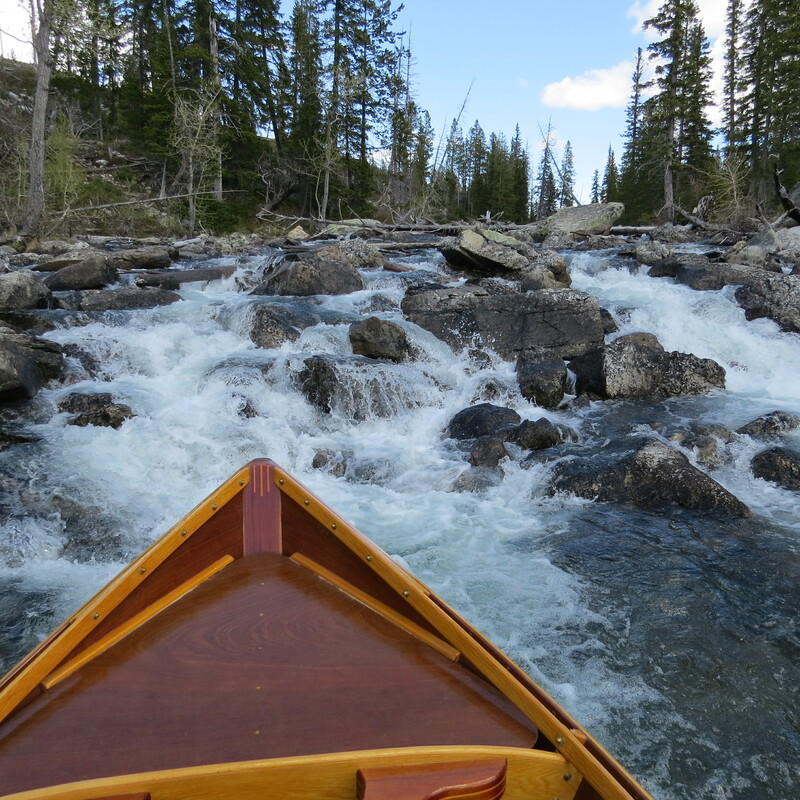 I rowed my woodenboat across the lake on a windless morning and stuck the nose of the boat so close to the falling water it splashed up on the boat and rolled down the fly deck. Towering above the lake are the tallest peaks in the Teton Range called the “Cathedral Group” of spires. 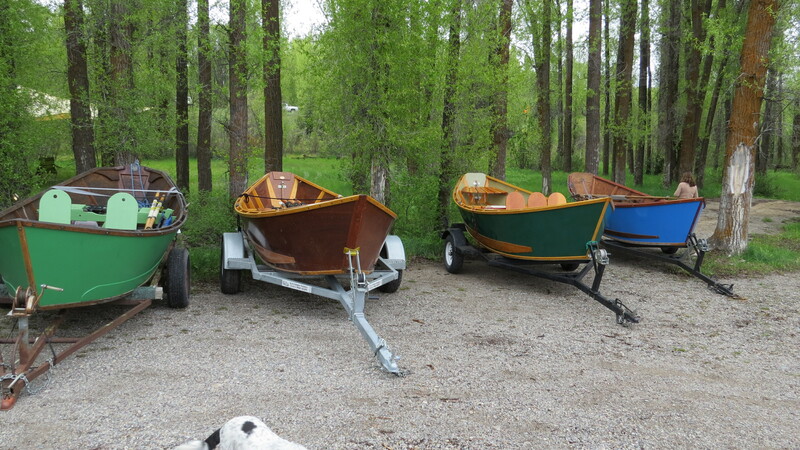 It was Memorial Day weekend, and in the Jackson Hole area, that also means an annual celebration of wood drift boats. Every year, wood drift boats and owners from all over the Pacific Northwest gather in a tall stand of trees close to the Snake River near Wilson, WY to talk about the history, the performance, and the uniqueness of these wood boats that are such an icon of river running in this territory. Beyond the love of the boats, we are brought together every year by A.J. DeRosa – who looks like he just walked out of the pages of an Ernest Hemingway novel. He is weathered, worn, and unshaven – always wearing an old Pendleton wool shirt and the rattiest hat in camp… he’s a throw-back and loves the old ways of the west. 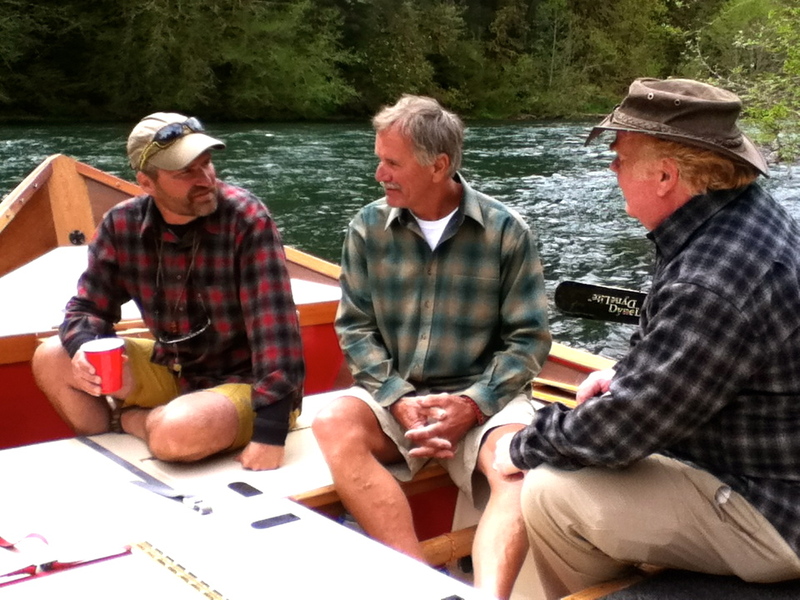 Every year after showing our boats in the stand of trees, we float a section of the Snake River down to AJ’s place for a cook-out. 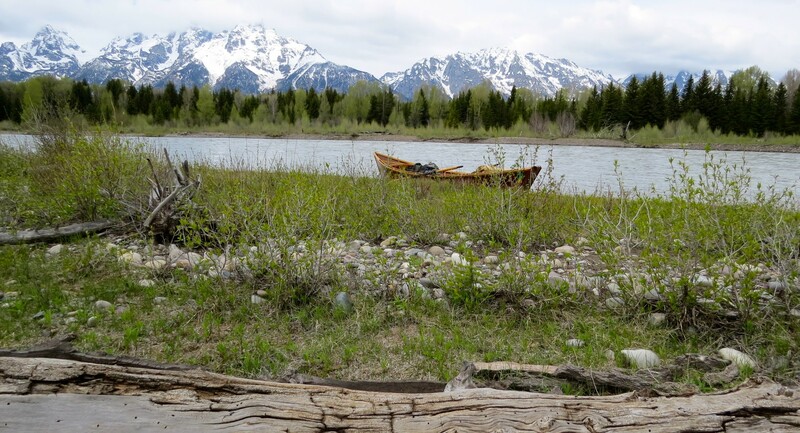 He provides these types of trips for Wyoming visitors that want to experience an authentic river trip in a wooden boat and eat a great meal beside the Snake with an awesome view of the Teton’s in the horizon. It’s quite something, AJ’s camp… an incredible outdoor experience. 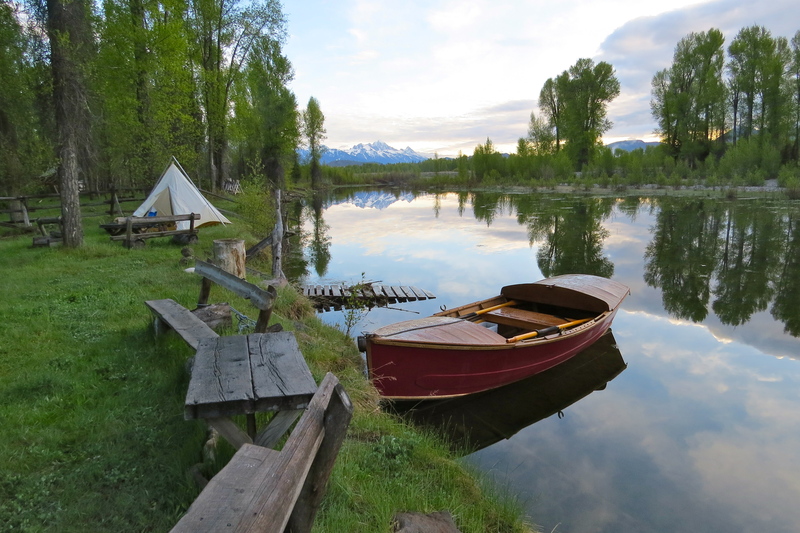 AJ’s Wooden Boat Adventures & Sleigh Rides operates just outside Grand Teton National Park on the Snake River. With a wood canoe, paddle up String and then a short portage to Leigh for another motorless (and crowdless) lake with several paddle-in campsites. Glorious!